SIGN UP to our Government Poll and make J5 Slips a reality. The Government's desperate need to use the M26 as a Lorry Park in the event of a "No Deal" Brexit gives the best chance ever. It can't work as a lorry park without the slips, because they can't get trucks onto it ! M26 - LORRY PARK FOR OPERATION STACK? 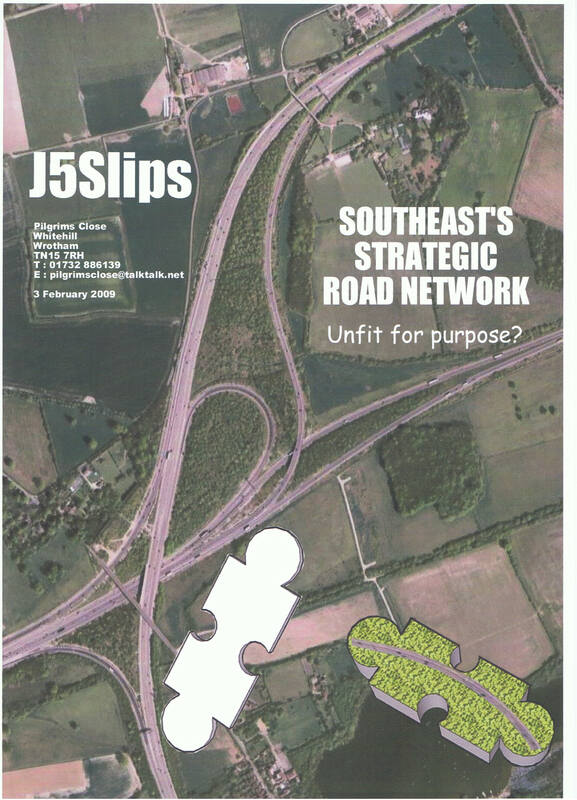 Paul Carter, Leader of Kent County Council, has been a strong supporter of East Facing Slips, following on from his personal commitment to fund a new Planning Application for the A25 Borough Green and Platt Bypass. It became apparent that the Bypass could only be funded by an unacceptably high level of new housing in Metropolitan Geen Belt and Kent Downs AONB, so Mr Carter got his most senior Highways Officers to talk to KALC about taking the fledgling J5 Slips campaign and turning it into a real proposal for the next round of the Government's Route Strategy. Kent Association of Local Councils What Tim started was a grass roots Parish Campaign. enlisting most Parishes from West Malling to Westerham. KALC then took on the mantle and used their influence and contacts to get it on the agenda at the highest levels at Tonbridge & Malling, Kent County Council, the National Assn of Local Councils, and DCLG, DfT and HE. So whilst local campaigners have always concentrated on the environmental benefits to villages from Malling to Westerham, south along the A21, and north as far as Swanley, the main campaign will now shift its focus from environmental issues to economic growth, an argument that aligns us with the Government’s own plans for recovery. The National and International importance of full connectivity to the National Motorway Network and the European Gateway cannot be overstated : large swathes of West Kent, Surrey and Sussex are suffering a major trading disadvantage, and inward investment and trade are likewise hampered. But the environmental case does have significance: the Air Quality issues along the whole A25 corridor will impact severely on the upcoming implementation of the new Local Plans in Tonbridge & Malling, and Sevenoaks. If these Borough Council plans for growth are limited, or worse, rejected by the Planning Inspectorate, that will decimate the possibility for economic recovery and future prosperity throughout the area. M26 - LINK or FARCE?? click the roadsign and see what you think.